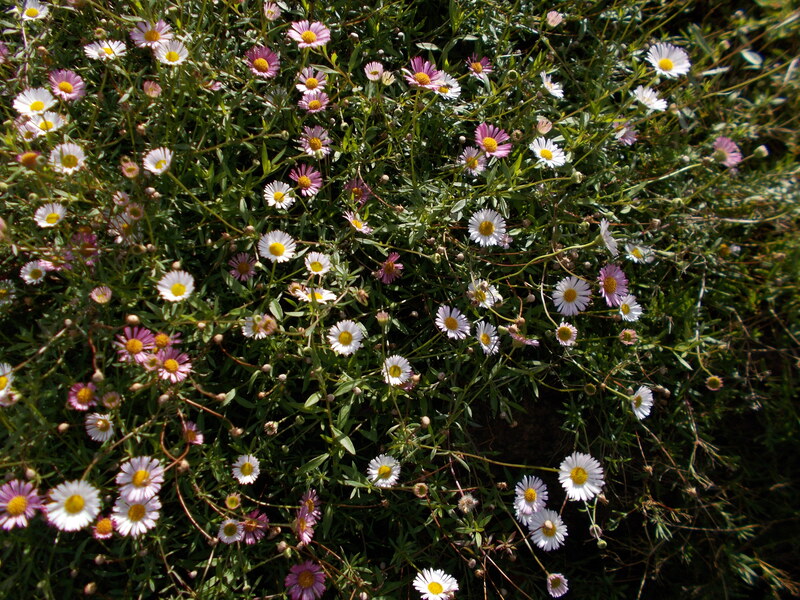 The space around one of the alpine troughs is awash with a multitude of small daisy like flowers. From minute green button buds white ray florets quickly turn shades of pink, deepening with age, giving this prostrate woody based perennial a colourful appearance. Pick one flower and you would never imagine that the plant could produce such a floriferous display. 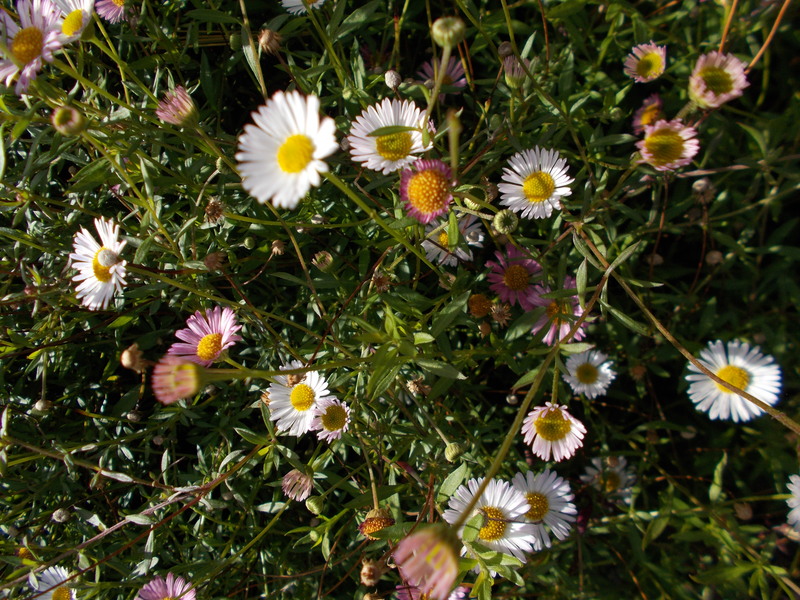 Erigeron karvinskianus is found from Mexico to Panama. Flowering from early summer through to late autumn this is a plant for sunny situations where it can be left to its own devices. Shear over in spring if needed to check the spreading growth. There are lateral buds that soon shoot away to form fresh growth.